During Women's Month, we're celebrating women in digital. Those who pioneered, those who perfected, and those who make a difference every day. We'll feature one woman per week day for the month. Lindiwe Matlali is the Founder and CEO of Africa Teen Geeks - a non-profit organisation that teach school children and unemployed youth how to code. Her wonderful mission in life is to close the opportunity gap with regards to access to computing education. 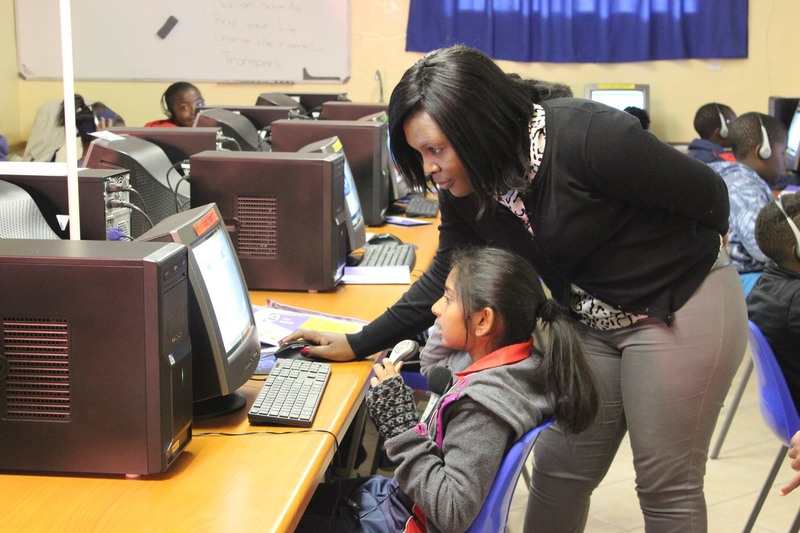 She says: "The majority of South African children do not have the opportunity to learn computer science. My goal is to expose them to computer science, helping to inspire Africa’s future generation of technology entrepreneurs and innovators." She holds a Bcom degree from the University of Cape Town and recently completed a General Management Programme at the Gordon Institute of Business Science (GIBS). She is currently studying towards Trium EMBA, a collaboration between New York University Stern School of Business, the London School of Economics and HEC in Paris as well as a Graduate Certificate in Entrepreneurship and Innovation at Stanford University. Her numerous accolades included Young Business awards top 3 finalist and Mail & Guardian Top young South Africans 2014.